Ethiopian Aida lives a life of slavery in Ancient Egypt, in this thirtieth anniversary production of Verdi’s legendary and heart-stopping drama of war, passion and family. Superstar soprano Anna Netrebko sings the titular role for the first time at the Met, with mezzo-soprano Anita Rachvelishvili as her formidable rival, the princess Amneris. Aleksandrs Antonenko is Aida’s lover, the Egyptian warrier Radamès. Nicola Luisotti takes the podium for the Met’s monumental production, opening the new Live in HD season in truly spectacular fashion. Saint-Saëns’s biblical epic Samson et Dalila stars Elīna Garanča and Roberto Alagna in the title roles; the pair was last seen together by HD audiences in the acclaimed 2010 production of Bizet’s Carmen. Laurent Naouri co-stars as the High Priest, with Elchin Azizov as the Philistine King Abimélech and Dmitry Belosselskiy as the Old Hebrew. Sir Mark Elder conducts. 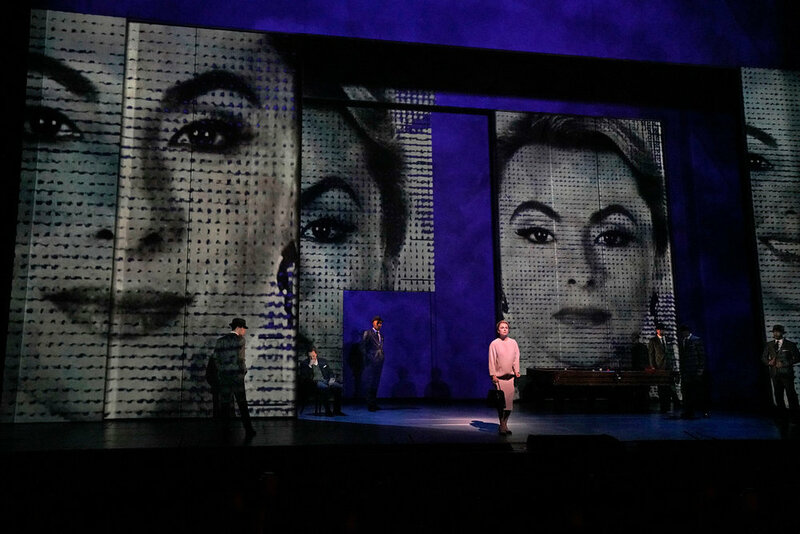 Nico Muhly’s Marnie, based the novel which inspired Alfred Hitchcock’s acclaimed psychological thriller, has its U.S. premiere at the Met this season. Isabel Leonard stars in the title role opposite Christopher Maltman as her blackmailing husband Mark Rutland, Iestyn Davies as his brother Terry, Janis Kelly as Mrs. Rutland, and acclaimed mezzo-soprano Denyce Graves as Marnie’s mother. Costume design is by Madonna's collaborator of twenty years, Arianne Phillips, who created every item seen on stage in this stylish, vivid production. Robert Spano makes his company debut conducting. Yannick Nézet-Séguin makes his debut as the new Met Musical Director by conducting Verdi’s timeless tragedy La Traviata. Directed by Michael Mayer, this new production features a dazzling 18th-century setting that changes with the seasons. Diana Damrau is the doomed heroine Violetta, opposite Juan Diego Flórez as her lover, Alfredo, and Quinn Kelsey as Alfredo’s protective father, Giorgio Germont.